The Elive Team announced the release of a new development version of their Linux distribution, which includes a new kernel, an improved installer, Firefox 3, an autoeject function, Madwifi driver and more. The kernel version used is 2.6.24.7, updated for a better configuration of IDE/SATA/SCSI chipsets. If it doesn’t work on your computer, you can report it on the Elive channel; in fact, it is highly recommended you do so. 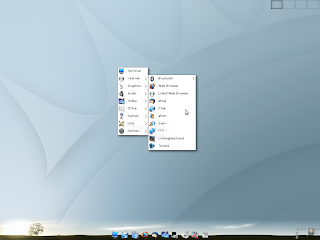 The new installer, with improved and more user-friendly features, allows the installation of a recent version on the computer. However, you cannot update your old Elite system to the current version; this feature is not yet implemented in the installer so, for now, you have to be content with a fresh installation. This version includes Firefox 3, also with new and more user friendly features, and now better looking and apparently faster. The Elive bookmarks are updated with better ones as well. Hal detects and entirely manages the eject button in this version of Elive, which uses an autoeject system without unmount being needed. By including the new Madwifi WLAN driver updated with the new hal version, the latest cards (with Atheros chipsets) are supported. Skype has been moved to the static, larger in size version, in which bugs in the interface, like buttons and widgets, have been fixed. You can now choose your console keymap in console mode; this is possible only in installed mode, though. There is an improvement in the QT/KDE segment as well, allowing users to install this kind of application for a more integrated look with the rest. Other fixes are present in this version. For instance, a small bug with the boot resolutions selector has been removed and readahead has been implemented, speeding up the system's throughput. Download Elive 1.8.2 right now from here.